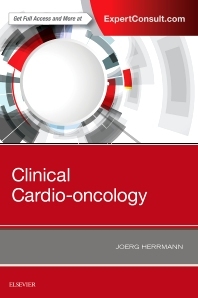 Clinical Cardio-oncology is a comprehensive, clinically focused title for cardiologists, oncologists, and specialists in cardio-oncology programs who need up-to-date knowledge about the cardiovascular effects of cancer treatment, especially on long-term cancer survivors. This brand-new resource covers the implementation of cardio-oncology into your practice, while a strong focus on patient management offers helpful information on coordinating care before, during, and after therapy. Its highly organized four-section format allows readers to quickly and easily locate relevant information. Comprised of four sections for quick and easy reference: Oncology and Hematology Principles; Cardiac Complications from Cancer Therapy; Coordination of Care; and Cardio-oncology in Practice. Includes online case studies focused on the structure and implementation of cardio-oncology care. Provides expert wisdom from cardio-oncology authorities around the world, as well as consultation and perspectives from pioneers in the field of oncology. Highlights the principles of cancer therapies, including radiation and tumor therapy, as well as pre-, intra-, and post-therapy cardiology evaluation. Boasts chapters on implementing cardio-oncology into practice: primary cancer centers, comprehensive referral centers, group practices, and educational needs and goals for fellowship programs. Advises on how to coordinate care for the patient at every stage of treatment (pre-therapy, during therapy, after therapy, and end-of-life). Presents detailed information on various cardiac complications from cancer therapy, such as cardiomyopathy, vascular disease, arrhythmias, and hypertension. Teaches the principles of oncology and hematology with coverage of different therapy types and cardiac tumors. Includes a comprehensive drug guide.